Teledyne Gavia, a global provider of low logistic autonomous underwater vehicles (AUVs), has recently delivered Teledyne Blueview MB2250 modules and associated Teledyne PDS software for all Gavia AUVs operated by the Turkish Navy Mine Countermeasures Command in Erdek, Turkey. The Blueview MB2250 will be used in conjunction with the existing Edgetch 2205 sidescan sonars that are currently installed on the Turkish Navy Gavia vehicles. 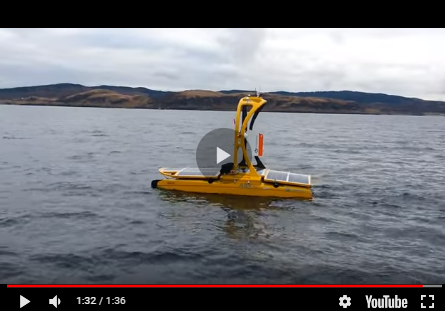 This will provide capabilities for sidescan sonar nadir gapfill as well as providing high-frequency multibeam data that can aid in detection and classification of mine-like objects. During recent Mine Countermeasures (MCM) trials, use of the Teledyne BlueView MB2250 allowed the Gavia AUV to cover roughly forty percent more area in a given time than the vehicle would have been able to cover without the use of gap fill. This greatly increased coverage area is a significant development for small AUVs. The Gavia AUV is an autonomous sensor platform that is user configurable by the addition of one or more sensor, navigation or battery modules by means of an innovative twist lock system. The Gavia AUV is a fully low logistics modular system designed for operation from vessels of opportunity and has the greatest depth rating of any vehicle in its class. The modular design of the Gavia ensures maximum mission flexibility and system upgradability. Module options include acoustic payloads for ASW training, various side scan sonars, multibeams, camera, and an array of environmental sensors.